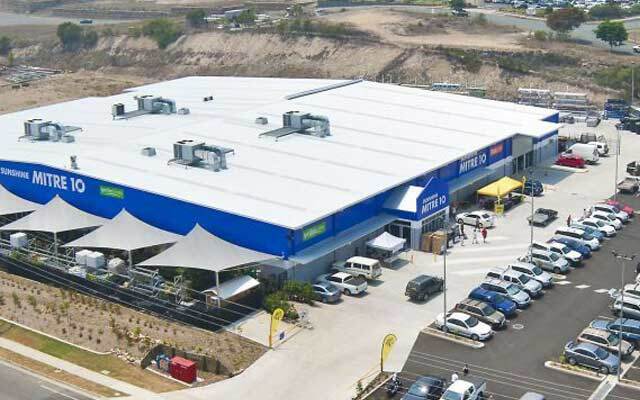 When the Melco & Lanhams businesses merged in March 2008, it was decided to give both business names 'equal billing' and so the decision was made to call the business 'MelcoLanhams'. 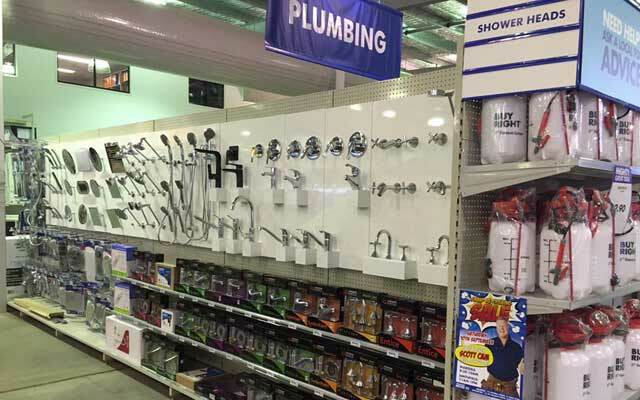 At the time of the merger the entity of 'Sunshine Hardware Pty Ltd' was also acquired. 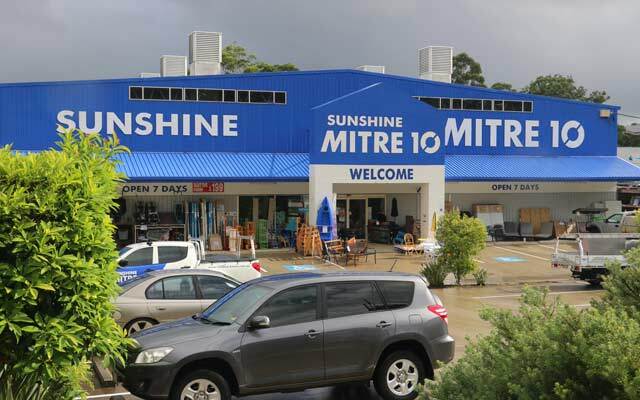 Over the past several years, we have seen our range of products and services develop and our business grow into new geographical areas and recently the decision was made to rebrand the company to Sunshine Mitre 10. 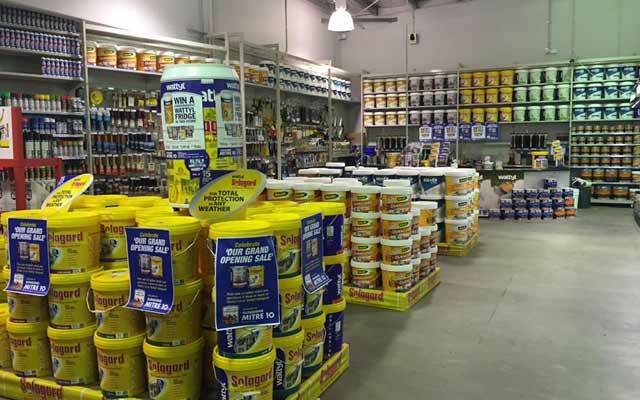 The decision to rebrand was taken in order to take our brand to next level of sustainability and consistency while at the same time, generating a wider audience of customers and greater level of ‘recall’. 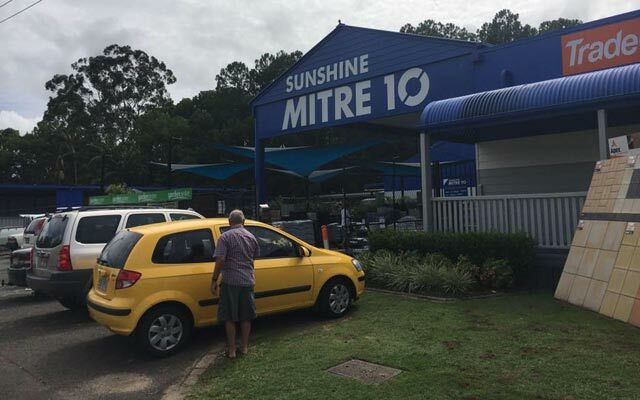 Sunshine Mitre 10 has 15 outlets in Nambour, Kunda Park, Noosa, Cooroy, Gympie, Kingaroy, Caloundra, Dalby, Mareeba, Smithfield (Cairns), Weipa & Roma. 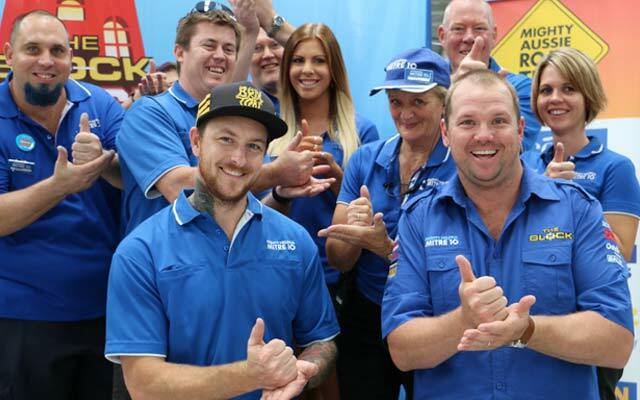 We employ over 350 full time equivalent staff and our customer base extends as far north to Rainbow Beach and South to just over the Queensland border out west to Roma and recently in April 2016 Northern QLD. 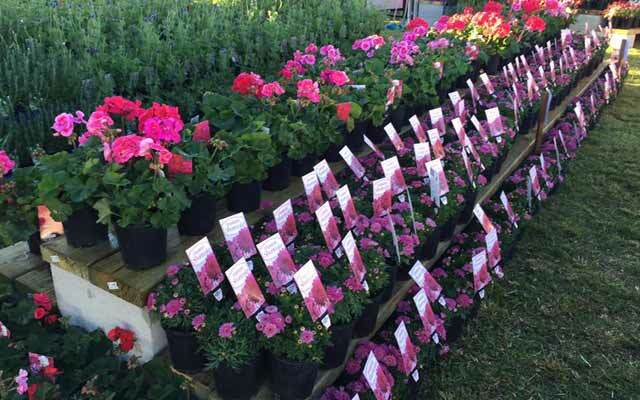 We know South East Queensland, and this local knowledge allows us to provide for the often unique requirements of the trade and homemakers in the region. 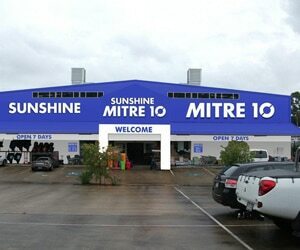 The Sunshine Mitre 10 product range caters for Builders, Renovators, DIY’ers and the general public. 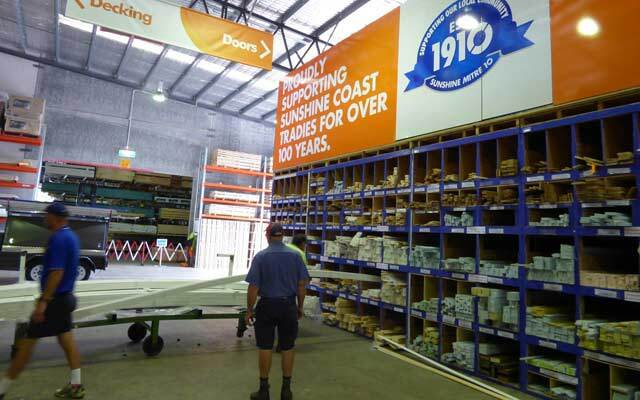 We’re serious about Timber and Building Materials and in fact, we are the largest supplier of Timber on the Cooloola, Sunshine Coasts, South Burnett, Wide Bay & Maranoa Regions. 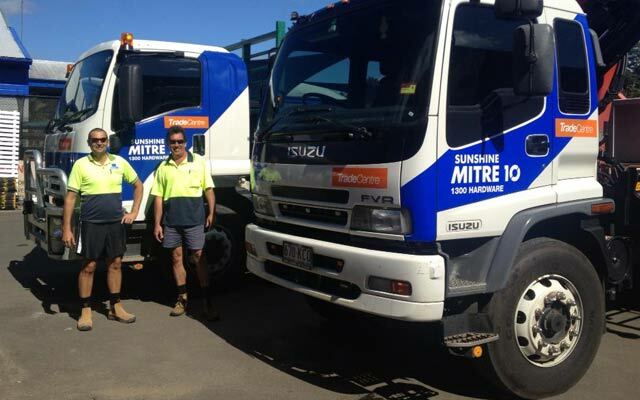 We employ 9 company owned Crane Trucks that deliver around our region and beyond. 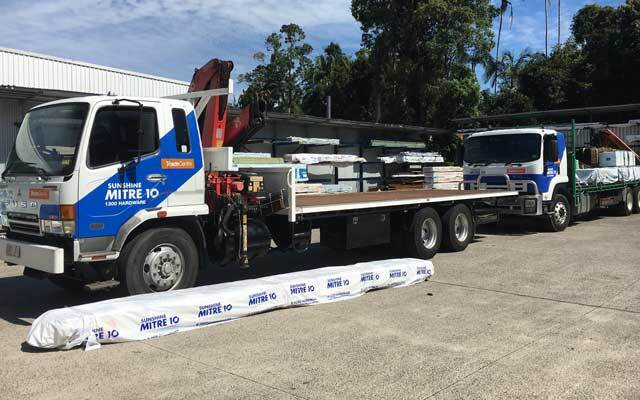 Sunshine Mitre 10 has supplied builders as far away as Cairns, Melbourne and even overseas to Vanuatu! 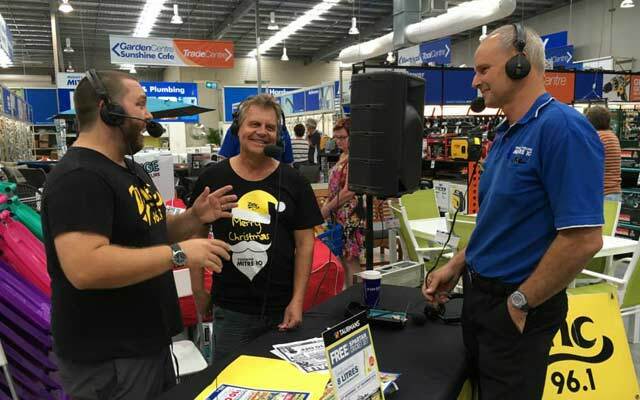 Through our team of 12 full time dedicated Sales Representatives, we provide a unique service to Builders and Renovators and we take ownership of our client’s projects by being ‘hands on’ all the way. 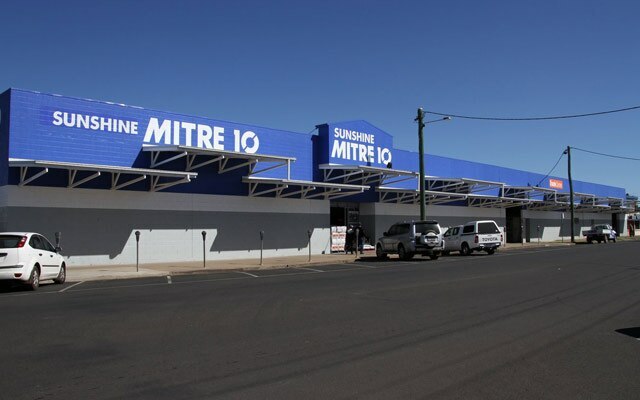 Our membership of the Mitre 10 group assists us to ensure that we remain competitive through their National buying power. 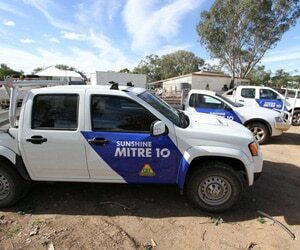 Mitre 10 also keeps our staff up to date with the latest products and services available to our customers. 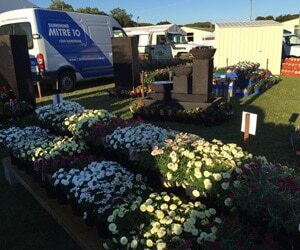 Do you assist with Online Trade representation ? 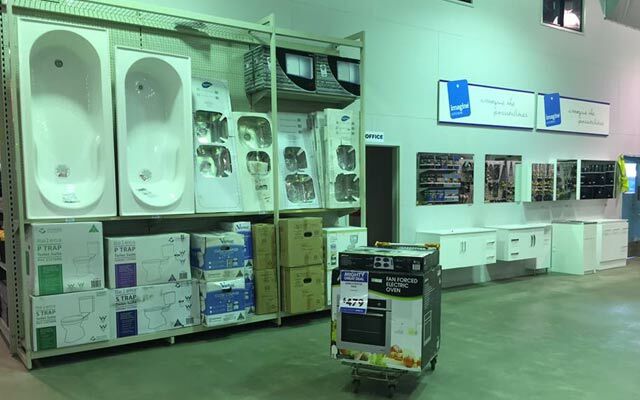 We can ensure that all your needs will be met by one of our 13 dedicated sales representatives. 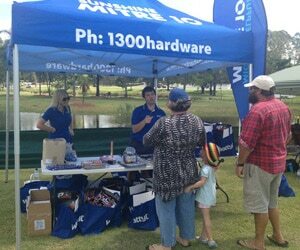 Obligation free, our trade representative will visit you on site to go through your job requirements. Which areas do you Deliver to ? 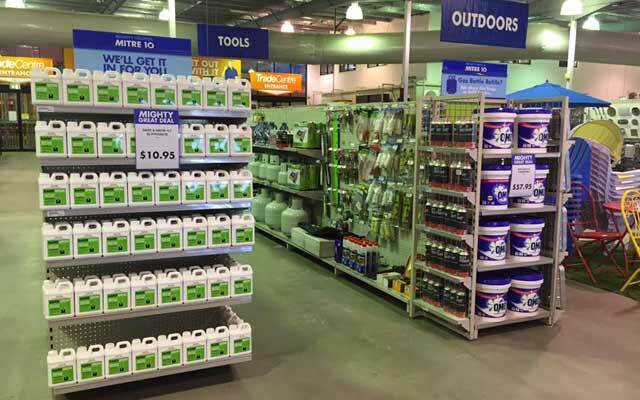 Do you organise Paint Color Matching ? 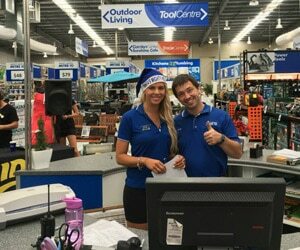 We’ll colour match almost anything! 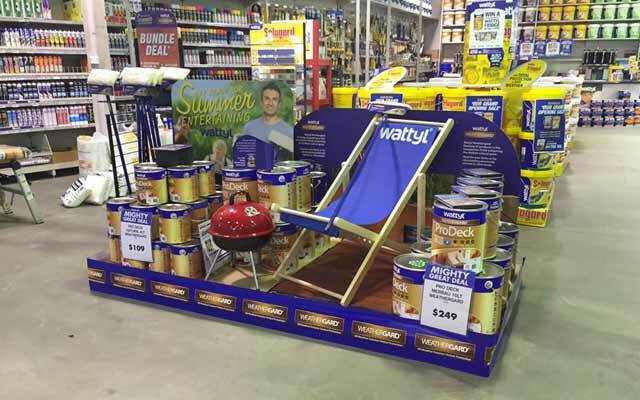 Bring in a piece of carpet, a magazine cut out, a tile.. almost anything, and we’ll find the colour for you.